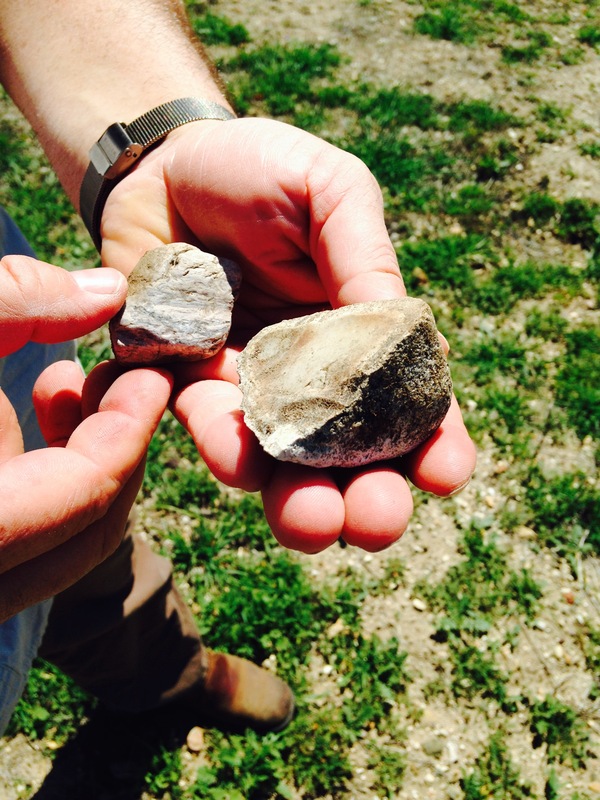 If you think most winemakers are obsessed with soil, try hanging out with one who’s a former geologist. Michael Larner shifted his career path from studying rocks to expressing their presence through wine and hasn’t looked back. From the labels to the winemaking philosophy, the wines of Larner Vineyard are driven by a devotion to expression of the earth, and there’s a palpable passion for place in every bottle. I took a trip to Larner with Michael this past week and was amazed by the dedicated farming and incredible geology of this special place. 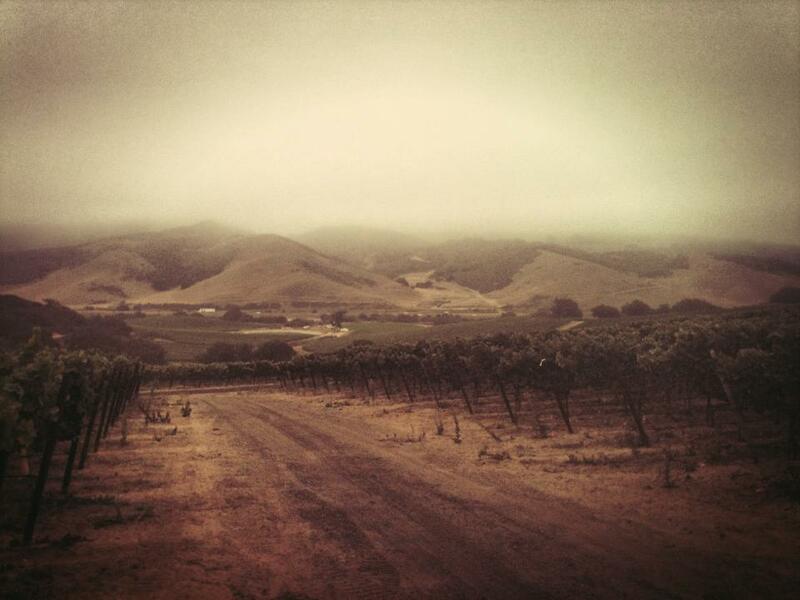 Located in the southern end of the new Ballard Canyon AVA, the vineyard was planted in 1999 and 2000, and currently has just 34 acres of grapevines. The geological jumble at Larner would make any soil geek salivate. 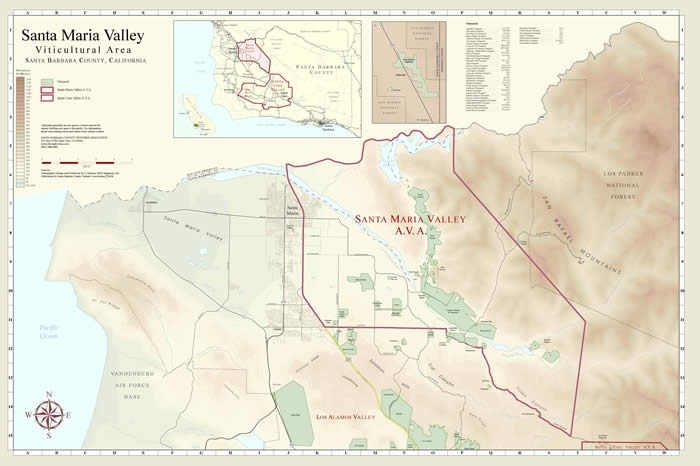 In the upper hills one finds bits of the rocky Paso Robles conglomerate; there are chunks of Careaga sandstone, chert, and quartz; Marina sand overlays much of the property (“We have a running joke that we should have started a business selling playbox sand before we started the vineyard,” says Larner); and underlying everything is chalk- Larner’s defining soil. Unlike the northern half of Ballard Canyon, which has harder limestone, Larner sits on a bed of very friable, and thus easily exchangeable, chalk. I was somewhat surprised to find that the soils here, despite their chalkiness, are actually quite acidic, much like the acidic granite of the Northern Rhone. “Our soil pH is around 4.5, though we chose to focus on rootstocks to address that issue rather than amend it with something like gypsum.” In general, Larner’s approach to farming has focused on a natural approach and finding ways to let the vineyard most clearly express itself. They have been farming organically for several years as well, and are wrapping up the official certification process. The vineyard initially came to fame through the fruit it sold to small producers. “By definition, the clonal diversity meant that we needed to find smaller producers to buy the fruit. We couldn’t provide 20 tons that would ripen at once for a larger brand,” says Larner. 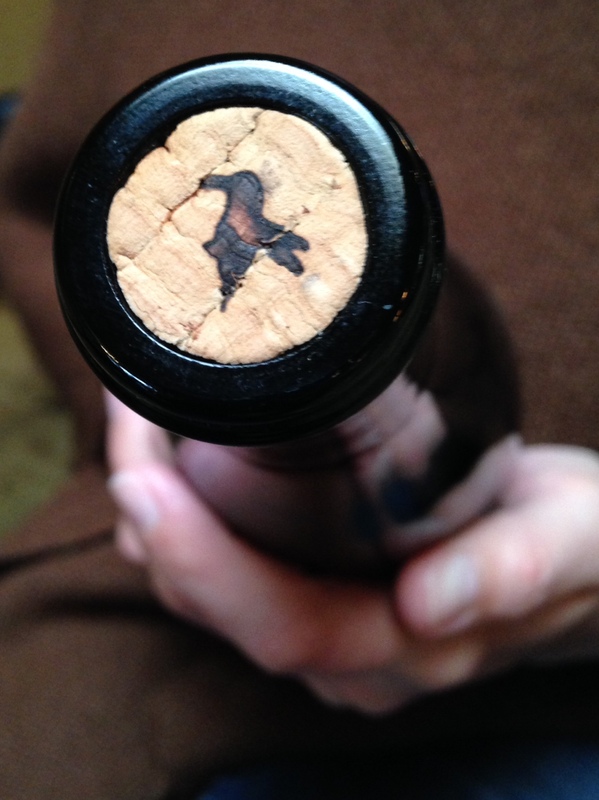 “As a result, these smaller guys started branding the vineyard, and really distinguishing the site in the eyes of critics and the public.” While the Larner estate program has grown, Larner’s focus is still on the clients who made the site’s reputation. “People often think we’d be taking the best fruit for ourselves, but we always make sure our clients get what they want first and farm it to their specifications. We actually end up with what they don’t want.” The list of winemakers who purchase fruit here reads like a who’s who of Santa Barbara County: Paul Lato, Jaffurs, Herman Story, Kunin, Tercero, Palmina, Bonaccorsi, Kaena, Transcendence, McPrice Myers– and that’s not even the whole lineup! 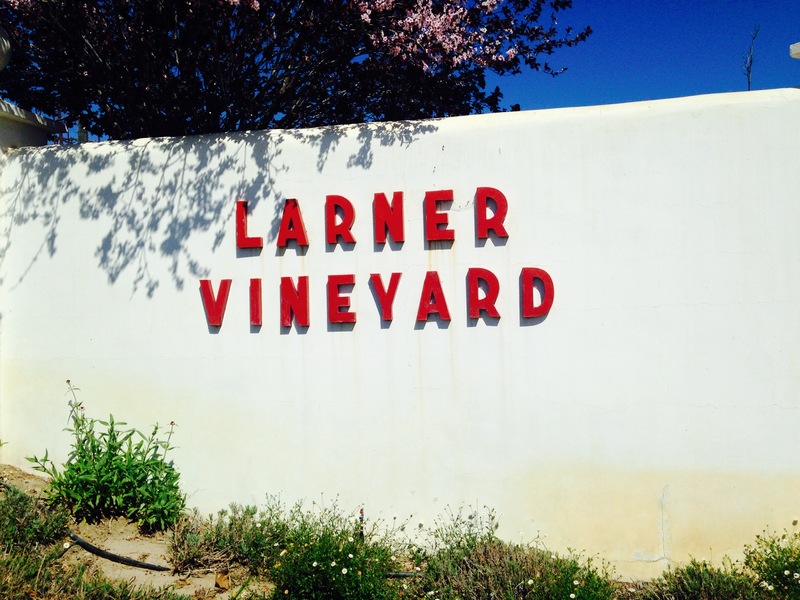 Larner Vineyard is one of the most thrilling sites in a region filled with them (Jonata, Stolpman, and Purisima Mountain just to name a few). The passion of Michael Larner, and his desire to elevate not only his vineyard, but Ballard Canyon and Santa Barbara County as a whole, is readily apparent. “One of the things I look for in a vineyard other than site is an ‘impassioned grower.’ Michael certainly fits the bill,” says Jaffurs. “He loves his vineyard like he loves his family. He is hard working and committed, and always in good humor, even when things are tough.” Kunin echoes these sentiments, saying “This business is one built on relationships – both in the marketplace and in the vineyard – and I am happy to have a lengthy and fruitful (no pun intended) one with the Larner family.” This family oriented, hands-on, untiring spirit is the essence of what makes our area so special. And ultimately, it is these intangible factors that give Larner Vineyard that little something extra. 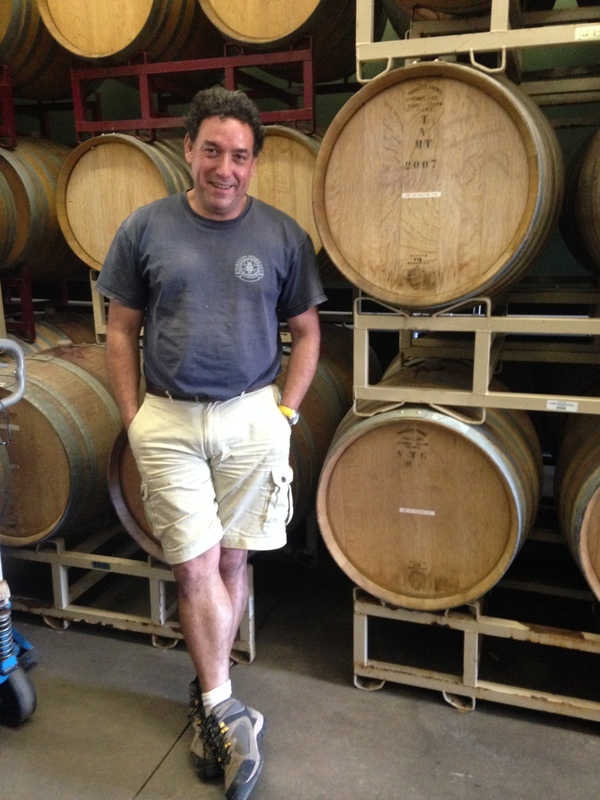 Through his travels Hill came upon an internship opportunity with Simi Winery in Napa in 1997. Hearing of his love for Pinot, the crew there suggested he head down to Santa Barbara County instead, where he landed a gig at the renowned Central Coast Wine Services (CCWS) as a cellar rat. “My job would be anything from picking up pizzas at 4 in the morning to doing 4 punchdowns a day at a winemaker’s whim, and by ingratiating myself to them they gave me a lot of trust. 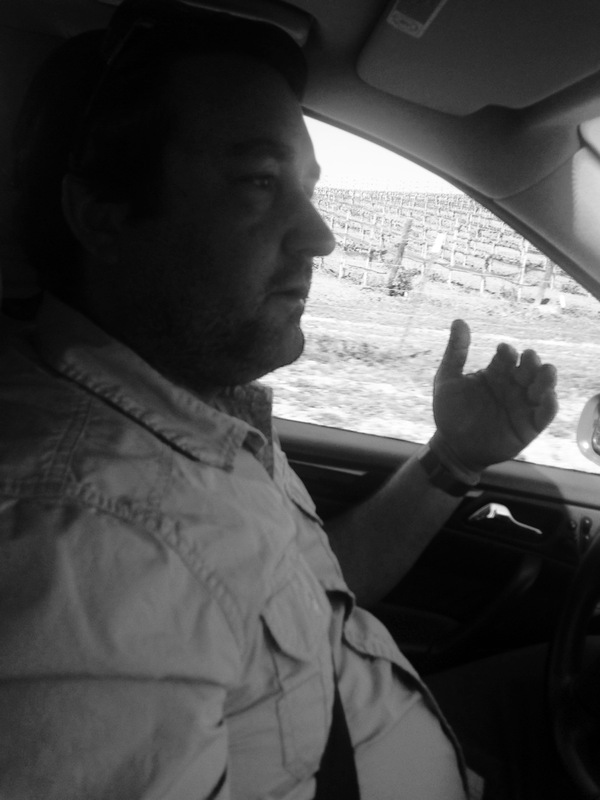 Many young winemakers feel the need to jump around every year, work a vintage in Tuscany, then Argentina, etc., but when the harvest ended, I felt I’d really found my own little niche here and wanted to stay.” Though still splitting his time between the Northern and Southern hemispheres, he committed to returning each year to CCWS to work harvest. Necessity is the mother of invention, and through his Haka label he has found a new niche through his exploration of Tempranillo. 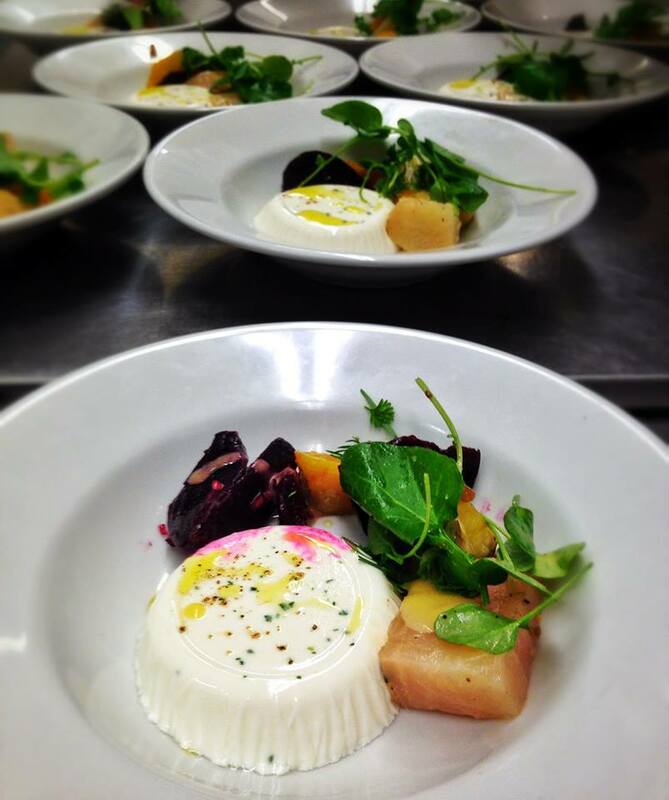 “I’ve been passionate about Tempranillo since the New Zealand days when the early imports first came into the country. You can pick it early and get those nice sinewy tannins and dried cherry, you can pick it late and get more of the black licorice and coffee grounds; for Haka, it’s really my benchmark wine.” He has explored, and is still exploring, numerous interpretations of the grape, picking at different ripeness levels, utilizing both French and American oak, and working with sites in warm-climate Paso Robles and cooler sites in Los Alamos. His ‘12s and ‘13s out of barrel are some of the most exciting expressions of the grape I’ve yet tried from our state, matching the power and minerality of Toro with a uniquely Californian presence of fruit. 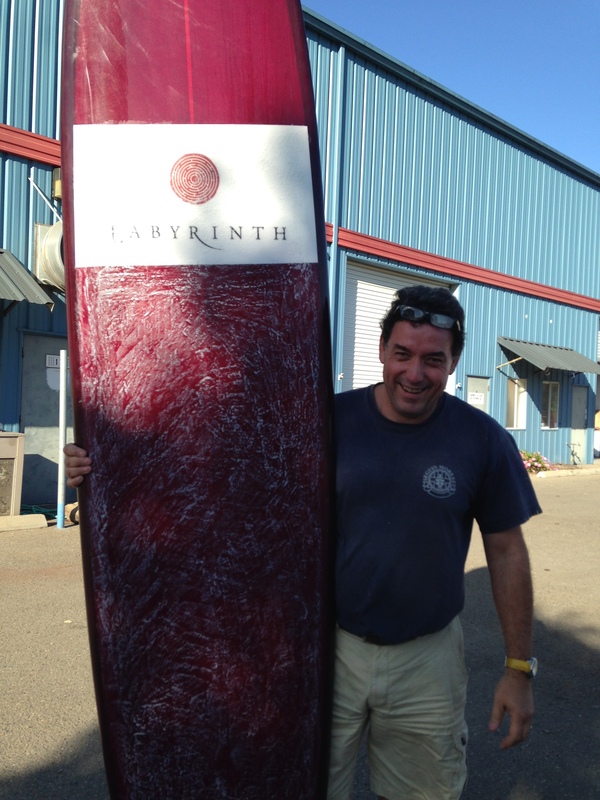 After a brief hiatus, the Labyrinth label bounced back in a big way with the 2012 and 2013 harvests. 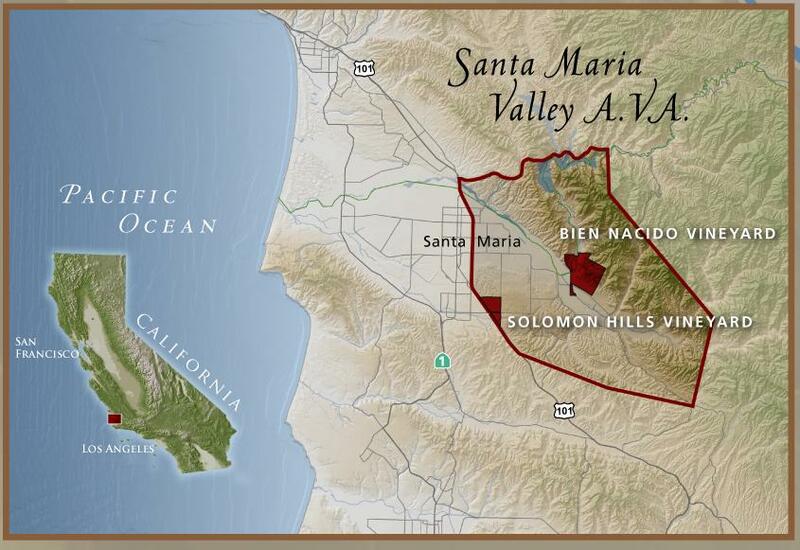 Working with new vineyard sources in Santa Maria Valley and Sta. Rita Hills, there’s renewed vigor in Hill’s Pinot program. While the Haka label has allowed him to work with more powerful grape varieties and a slightly riper style of winemaking, his Labyrinth Pinots are still classically balanced, site-driven, and filled with notes of earth and spice. He also chooses to work with only one cooper, Alain Fouquet, for his Pinots, a decision he believes helps communicate the differences between sites more clearly. “If I start utilizing different coopers, it’s like ‘where is that change coming from? Is it the site, is it the picking, is it the oak?’ I really want those vineyard differences to be apparent, and for my style to stay consistent, which is why I stick with one cooper.” Lovers of California Pinot with a Burgundian sensibility should keep an eye out for the release of his 2012s later in the year. 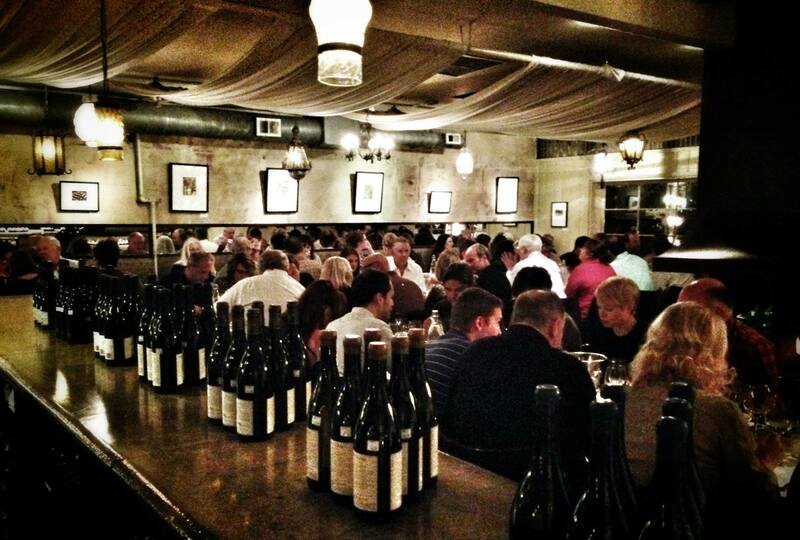 There is an intuitive nature to Hill’s winemaking that can be tasted and felt throughout his entire program. It is an approach he describes as “habitual practices but no fixed rules.” While there is a desire for consistency of quality and a certain sense of style, the vagaries of vintage are adapted to and allowed to speak, making for wines that beautifully marry time and place with a sense of self. In these wines one tastes the ebullience of a young cellar rat from New Zealand, whose desire to express himself through wine has only grown with time. My memories of the weather growing up as a kid in Santa Maria aren’t exactly the stuff of idyllic Norman Rockwell paintings. The howling wind blowing clouds of dust from the nearby strawberry fields into my grandparents’ yard where I was playing, families freezing at Little League games, and relentless fog even in the middle of summer. Ironically, given the career path I’ve chosen, this weather also makes for one of the planet’s most ideal locations for Pinot Noir. In the past year I’ve fallen in love all over again with the wind-battered, fog-shrouded west end of the valley in particular, and the thrilling Pinots emanating from this tiny corner of the world. This week I spoke with several of the farmers and winemakers who are crafting incredible Pinot Noir here. 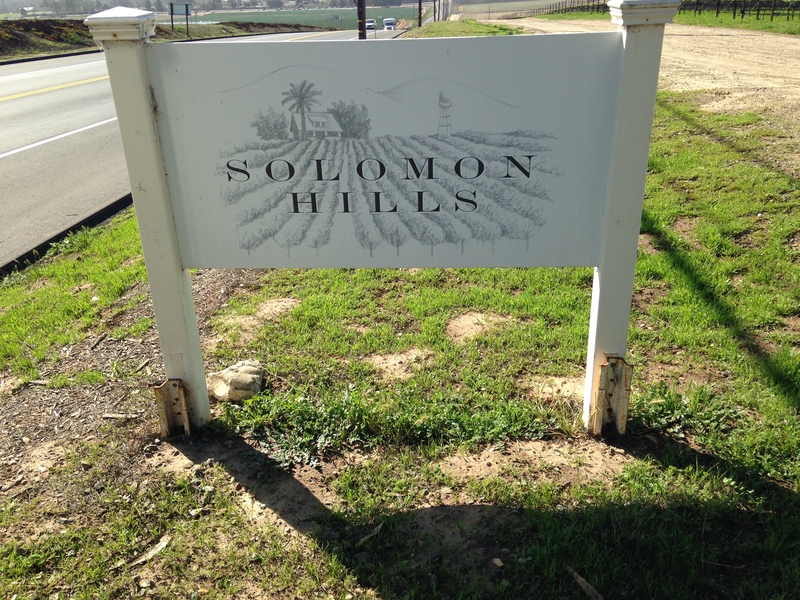 While this area doesn’t have a specific name yet, some have begun referring to it as the Solomon Hills (also the name of one the most prominent vineyards here). 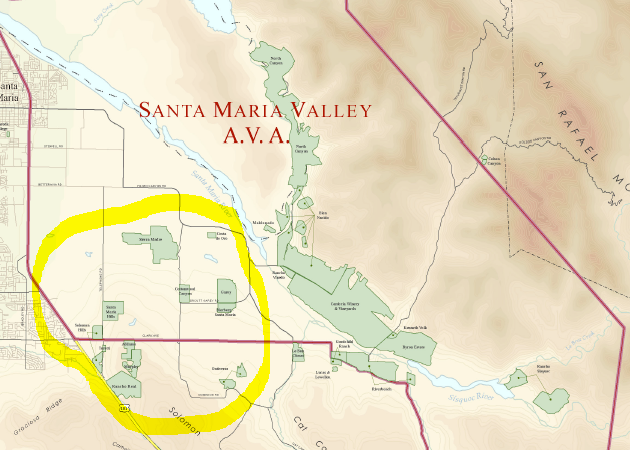 Beginning in the southwest portion of the Santa Maria Valley AVA along the transverse Solomon Hills range, directly exposed to the Pacific Ocean, this is an area defined by its extreme maritime conditions: harsh winds, constant fog, and lots and lots of sand. The nearby Guadalupe Dunes Complex is the second largest dune series in California, and walking the vineyards, one gets a sense of just how coastally influenced the soils here are. 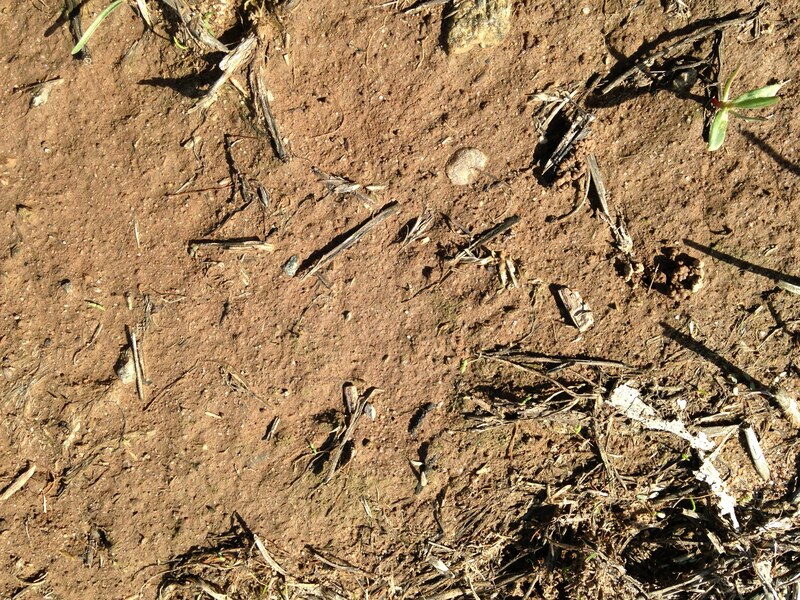 Over millennia, wind deposited all of this sand among the vineyards of what is now the west end of Santa Maria Valley. 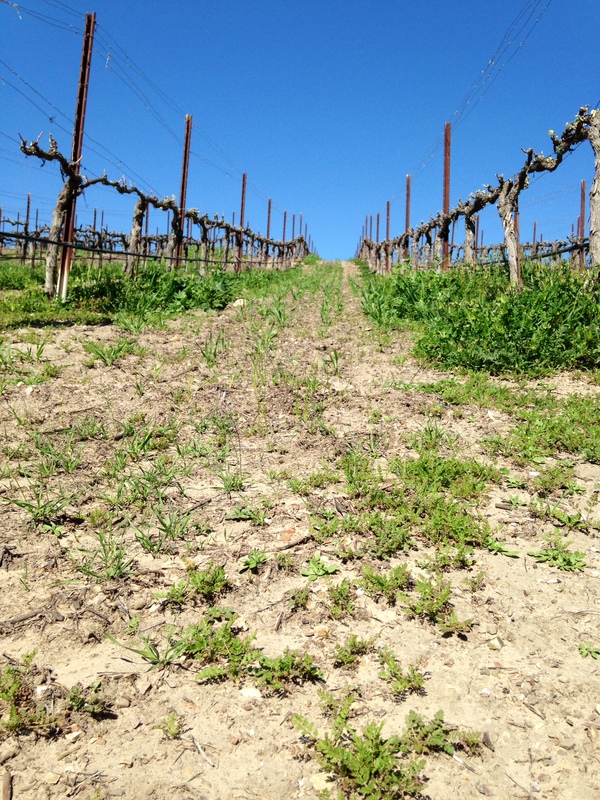 “This is pure sand, essentially no rocks or pebbles, and growing grapes in this soil is very difficult,” says Trey Fletcher, winemaker for Solomon Hills and Bien Nacido. “It doesn’t hold water at all, so irrigation has to be managed very carefully. These vineyards could probably never be dry farmed.” The two dominant soil series in the far west along the Solomon Hills are Marina and Garey sands. As one heads north or east, the Pleasanton, Positas and Sorrento series begin to enter the picture, with more loamy, pebbly textures, marking the transition out of this small subsection of the Valley. 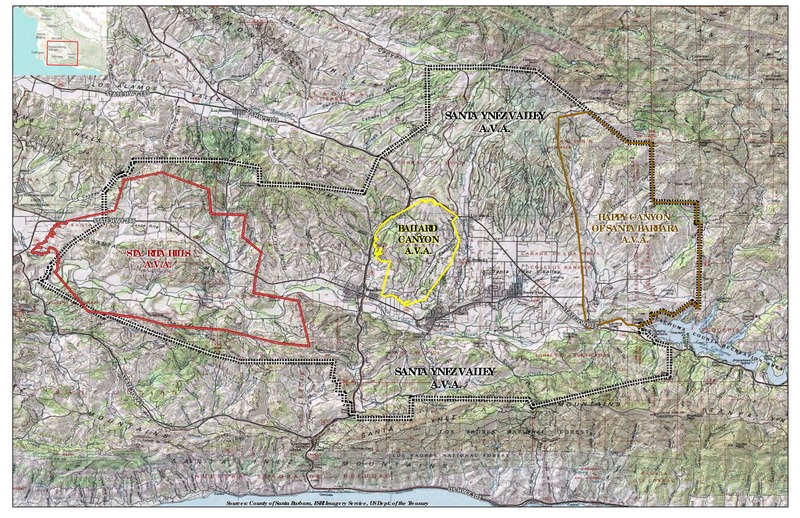 The Westside is separated from the eastern part of the valley by a gradual change in soil, climate, and exposure, beginning with the shift into riverbed soils that occurs at Cat Canyon Creek and the Santa Maria and Sisquoc Rivers. As the valley floor rises into what is referred to as the Santa Maria Bench, the soils undergo a more dramatic shift, showing the origins of volcanic uplift, with shale, limestone and more clay entering the picture. Much of the bench also moves to a southern exposure, warmer and slightly sheltered from the direct wind. When tasting Pinot Noir from riverbed sites such as Riverbench or benchland sites such as the famed Bien Nacido next to Pinot Noirs from the Western edge, the stylistic differences are readily apparent. “Solomon Hills looks to the sky. Bien Nacido looks to the earth,” says Fletcher. To elaborate on this idea, the wines from the valley’s west end, particularly those within the Solomon Hills such as Presqu’ile, Solomon Hills, and Rancho Real/Murmur, are shaped by refrigerated sunshine, pummeling wind, and wind-deposited soils, leading to sun-kissed Pinot Noirs driven by fruit and spice. Vineyards on the bench on the other hand have much rounder textures and more overt notes of organic earth thanks to the loam and stones that define this part of the Valley. “There is a very apparent spiciness in the wines here when made in a delicate style,” says Ernst Storm. “In the case of Presqu’ile, it is exciting to work with a young vineyard that is already showing so much terroir.” Many producers, such as Storm, choose to highlight this character by utilizing whole-cluster fermentation. “I find that the Solomon Hills area is more conducive to whole-cluster,” says Luceant’s Kevin Law. “You get all of this beautiful savory spice, along the lines of Italian herbs.” Others feel that the fruit already provides so much spice that stem inclusion isn’t needed. “My tastings prior to 2013 of other producers and our own verticals seemed to show a more brooding character to the fruit and spice profile. 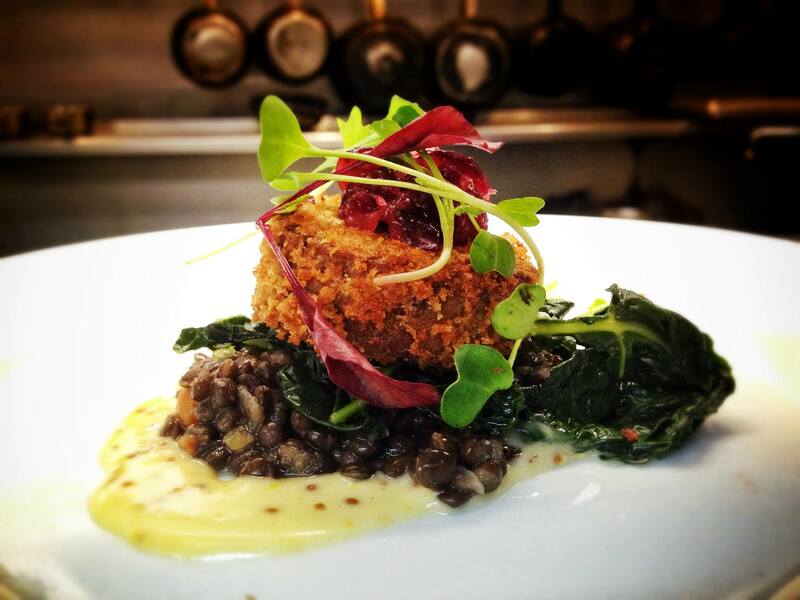 As a result I was more reticent with our use of whole cluster, not believing there was much to gain in terms of spice and structure from the stems,” says Dierberg’s Tyler Thomas. “For the most part we found this to be true of 2013 though I would say 2012 and 2013 highlight fruit over spice more than I observed in vintages past.” Personally, I love the use of whole cluster here, particularly from the Presqu’ile vineyard. The intense spice these producers speak of, which for me leans somewhere between Christmas spices and dried Italian herbs, is distinctive, not only within the Santa Maria Valley, but within California as a whole. Another facet that producers speak to about the area is its ability to capture perfectly ripe fruit at low brix and, therefore, low alcohols. “With the soil being so sandy, early-ripening Dijon clones do incredibly well, and there is beautiful phenolic character at perfect pH and brix of only 22 or 22.5,” says Law. “With those vineyards by the river, I find it can be harder to get that perfect triangulation of pH, brix, and phenolics.” These lower alcohols could also be due to the fact that most of the producers working with fruit in this area are a new generation of winemakers seeking a return to balance. Names like Storm, Luceant, Presqu’ile, and La Fenetre are associated with this movement, and it is not uncommon to see alcohols in the 12% range from these sites. It will be interesting to see where this region goes in the coming years. While it is currently defined by a small handful of sites, there is still a lot of available land that hasn’t been utilized. Most of the vineyards are also quite young, and I expect their character to become more pronounced and refined with time. For now, it is one of the most consistent and unique Pinot Noir regions on the Central Coast, and for lovers of the balance and spice-driven profile that makes Pinot Noir so wonderful, this should be at the top of the list for new areas to explore. Enjoy this brief video journey through the West end shot this past week, heading north and east, through the Solomon Hills, Ca del Grevino (Addamo), Presqu’ile, Dierberg, and Garey Vineyards.